Natural stone countertops like granite and marble are impressively strong materials, however, this, unfortunately, does not mean that they are impervious to chipping. Heavy pots and pans tossed around the kitchen can bang against and subsequently knock off a small part of your kitchen countertops, say around your farm sink for example. This is not only disappointing but will diminish the great look of your countertops. However, as long as the chip isn’t enormous you won’t have to spend hundreds of dollars on a granite or marble repair. The countertop repair kit that is offered at Mr. Stone is perfect for handling these damages. Natural stone countertops, such as granite and marble are impressively strong materials, unfortunately, it does not mean that they are impervious to chipping. 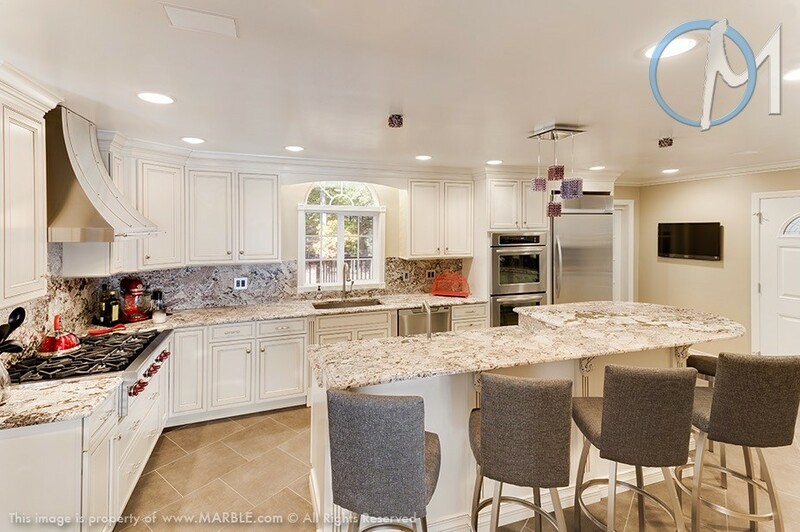 After having installed those beautiful Ambrosia White granite countertops or those pristine white Calacatta Borghini marble countertops, you want to make sure you have all the tools to keep these stones looking as fresh as they did on the very first day they were installed. Life happens and when you are in an accident-prone room like the kitchen, you want to be equipped with the best material to protect and repair your natural stone just in case. Mr.Stone.com has all those products you need to maintain your natural stone countertops and fix any small repairs if need be. Granite is a seriously strong material. Just to provide an idea of how strong it is, granite blades must be made from diamonds, one of the strongest materials in the world. But alas, despite its rugged nature, if a cast iron pan catches the edge of your granite countertop near your farm sink it may chip. Although the damage may seem serious, you do not have to contact a professional to handle your countertop chip repair if it’s a reasonable size. The granite repair kit that is available at Mr. Stone can quickly fill the damaged area, restoring your countertop to its beautiful state. This amazing countertop repair kit is easy to use and is one of the most affordable ways to fix your kitchen counters. The kit comes with a set of instructions that will walk you through each step. To start your granite repair, remove all items near the chipped area. Wash down the granite cleaner away a fresh rag. Do not use cleaners that are abrasive or contain bleach. Rinse off the countertop to thoroughly. Then take the gel epoxy that comes with the granite repair kit and fill in the chipped area with a few drops or until the damaged area is filled. After applying the gel, spray the hardener on the area. Then wipe down the area surrounding the chip. After the area is dry, take a razor blade or a similar tool and smooth it out so that it is level with the rest of your granite countertop. To truly ensure that your granite repair is complete and level, take a piece of steel wool and buff out the area until it looks smooth and beautiful. Applying some granite polishers afterwards will give the area a nice shimmer. The countertop repair kit that Mr. Stone offers will also work wonderfully on marble countertops. Since marble it is a slightly softer natural stone than granite it may be more inclined to chip from heavy use than granite is. 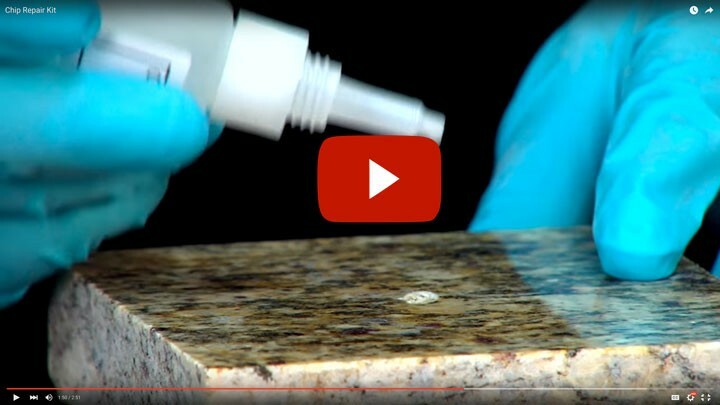 Conducting a marble repair with our countertop repair kit is exactly the same as doing a granite repair. Your marble countertop will be back to normal in no time.